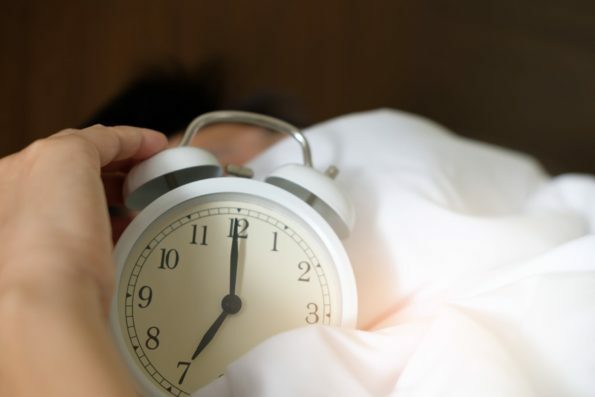 A little over half of the world’s adults or 51% are getting less sleep than they need and around 80% say that they are using the weekends to make up for lost sleep. Sleep deprivation can affect your health, mood, judgement and memory. Getting enough quality sleep is important to function well during waking hours and enhance concentration and productivity. If you’re having a hard time falling asleep or are not getting enough winks, find out the reasons why and change some habits/things. The Better Sleep Council recommends that a mattress be changed every 7 years or when you feel you’re not getting a good night’s sleep. However, before buying a new mattress, take time to research different brands and names. Look at feedback on Serta, Sealy, Simmons Beautyrest, and Amerisleep as well as the Nuvanna mattress review to see if any of these will be suitable to your needs. Studies show that a prescribed bedding system reduces shoulder pain, lower back pain, and spine stiffness so it is important that your mattress is comfortable and the bed frame provides adequate support. In addition, use bedsheets that are made from natural fabric such as cotton to keep you fresh and cool. Pillows should be changed every 2-3 years. They should support your head and neck correctly to improve the quality of snooze time. Exercise is good for physical and mental health helping you maintain weight, strengthen the heart, control blood pressure, and improve overall well-being. It also assists in improving sleep. Aerobic exercises are not only recommended by the American Heart Association, a study by Reid et al supports that they improve the quality of sleep among older adults with insomnia. When you are active during the day or do aerobic exercises such as swimming, walking, or running it is easier to fall asleep at night. Moreover, you’ll attain better sleep quality when you wake up less often benefiting from the restorative effects of slumber. An underlying health problem may be the cause of your sleeping disorder. Insomnia, sleep apnea, and restless leg syndrome can disrupt your sleep or make it problematic to doze off. Consult a doctor to rule out that you don’t have a sleeping disorder. You might have to go to a sleep clinic for a diagnosis. Researchers have also developed smart pajamas that are embedded with sensors to monitor your heartbeat, posture, and breathing to help improve sleep. Sleeping well is as important as eating properly and getting enough exercise. Keeping yourself active, investing in a good bedding system, and ruling out sleep disorders can help you get a better shut eye.